This is another great tutorial that recycles the materials like milk carton that would otherwise have ended up in the trash (in case you missed, you can find the diy shared earlier on how to make an owl vase using empty plastic bottles). 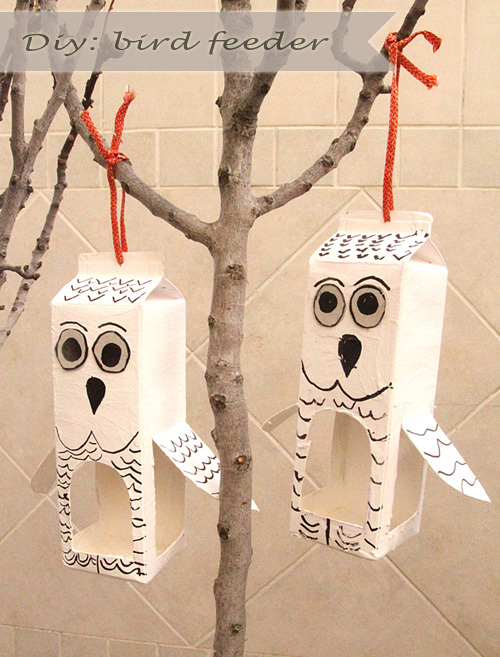 Follow the instructions shared by Sara Rivka on her blog to make these owl shaped bird feeders. This is a simple and an easy project in which kids can be involved who will have fun painting and drawing the owls on the carton.